Daniel Day-Lewis is nominated for Best Actor for his performance in "Phantom Thread." HOLLYWOOD—Last week we discussed the contenders in the Best Supporting Actor and Best Supporting Actress races who are likely victors for the Academy Award. This week our attention turns to the categories for Best Actor and Best Actress. I hate to even say this, but I think many Americans are already aware of who is likely to walk away with the Best Actor and Best Actress Oscar, but I’m here to make a case for a few contenders who people might be underestimating. We’ve had frontrunners all season with Frances McDormand for her riveting work in the drama “Three Billboards Outside Ebbing, Missouri” and Gary Oldman for his transformative performance in “Darkest Hour.” So let’s talk about the Best Actor race first. 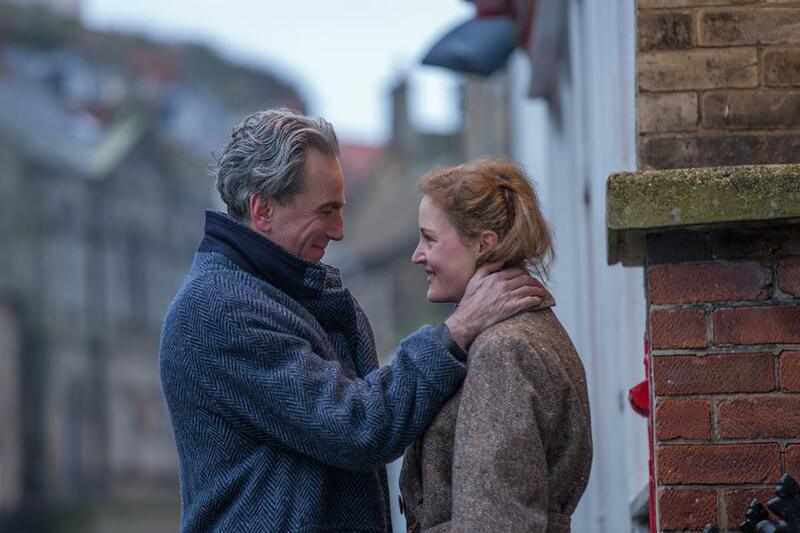 Lewis announced his retirement in front of the camera in 2017, and his performance in “Phantom Thread” has become something worth talking about. Why? Well, there is no secret that Lewis is one of the greatest living actors around, not considering Meryl Streep who falls into the tropes of the greatest living actress. He doesn’t appear in movies every single year, and when he does he delivers those tour-de-force performances that cannot be forgotten. This could without a doubt turn into a spectacle where members of the Academy would love to send Lewis out on a high-note, but at the same time you’re running into this situation where we see it time and time again, members of the Academy hand out the Oscar to an actor or actress because they were overlooked in previous years for stellar work. Oldman is indeed a strong lock, but people should NOT underestimate Lewis, that man is a force to be reckoned with and a surprise could be in store come Oscar Sunday. Now, let’s turn our focus to the Best Actress race. Sally Hawkins is phenomenal in “The Shape of Water,” where she has the ability to convey nuanced emotions without speaking a single word the entire movie. However, this film is not everyone’s cup of tea. Saoirse Ronan is an absolute revelation in “Lady Bird” and should be considered a much stronger candidate in this race than she actually is. She is on track to become the next Jennifer Lawrence people; she is picking up Academy Award nominations on a consistent basis at such a young age. Meryl Streep, what can I say about the woman; she is the greatest when it comes to the cinematic arena. She delivers a captivating portrayal as a woman in a peculiar position in “The Post,” but is she likely to win? No, and this point, if Streep appears in any film that is a drama, you might as well pencil her in for a nomination because she is going to earn one. So that leaves Margot Robbie “I, Tonya” duking it out against Frances McDormand “Three Billboards Outside Ebbing, Missouri.” I have seen both flicks, and I was on cloud nine with both performances. McDormand, who is a previous Best Actress winner for her role in “Fargo,” gives a brass performance that is hard to shake well after leaving the theater. However, I just cannot believe people are not even chatting more about Robbie whose portrayal of Tonya Harding is sensational. I mean I could not take my eyes of the screen, and Robbie takes this character to such riveting heights where the audience gets to experience and arrange of emotions. However, the one thing that haunts me is that courtroom scene where Harding learns her fate. What Robbie does with that scene alone deserves the Oscar in my opinion. She is a dark horse and people are underestimating her potential for a major upset on March 4 if you ask me. However, the love for McDormand is so strong if she did not win, I would be surprised. Expect McDormand to claim her second Best Actress Oscar, 20 years after receiving her first one. I would not be mad though if Margot Robbie was inside that envelope. Next week, we close out the conversation by tackling two races where I do believe the winner could be shockers as we discuss the contenders for Best Director and Best Picture.